With the largest team on Brisbane's Northside of over 90 extraordinary team members - Harcourts Solutions has the right solution to all your property needs. As a ‘City Girl’ from day one, you could say that Bridget Gabites has the love of inner city living ‘in her blood,’ and her vivacious energy and sharp intellect are just a couple of the reasons for her success in the inner city Brisbane market. Bridget’s knowledge of her core selling area is vast, and her further worldly travels allow her to work with any type of personality seamlessly. What Bridget brings to Harcourts is experience, hard work, and an impassioned focus on customer service as multiple winner of Harcourts Annual Achievement Awards, and Diamond Lifetime Achievement Pin. She is often a member of the highly sought ‘Top Ten in Queensland’ group for Harcourts. Bridget has a natural way of making clients feel comfortable and educated in their decisions, empowering them with the information and data they need, and believes that honesty and responsiveness are the key areas of her relationships with clients. “It truly is all about people,” says Bridget. “They aren’t just your clients, but more like family, and selling a home is a very personal and emotional event in their lives. My paramount focus is to ensure that my clients aren’t just fully informed and comfortable with the process, but absolutely elated with any transaction we work on together.” As well as having sold millions worth of high-end inner city Brisbane property, many highlights include vendors who unsuccessfully tried other agencies with their ‘one-size-fits-all’ marketing systems, and then sold through Bridget with her renowned ‘Highly-Individualised-Marketing-Methodology,’ which allows her to accurately pinpoint the ‘right-buyer’ demographic for each property she lists and sells. Michelle’s diverse career in the Real Estate industry started as a Resident Unit Manager of residential apartments in Brisbane’s CBD. Specialising in trust accounting and body corporate management; whilst maintaining contracts and relationships with government and relocation companies alike. Her experience with Tenants & Investors, coupled with property management skills, took her into Portfolio Management and acquiring new business to build the Agency’s rent roll. Joining Harcourts Solutions business owners Martin and Sally Millard delivered a new challenge to be part of an administration team supporting Platinum Sales Consultants, in one of Brisbane’s largest real estate teams. Michelle’s experience and knowledge of real estate operations helps ensure a cohesive work environment through systems and procedures to guarantee individual and business growth. To be a long term part of a dynamic team that has grown to be Queensland’s No 1 office & No 4 office in Australia for the past 5 years has been a privilege. Alan holds a Degree in Civil Engineering and has more than 15 years in the Property, Consultancy and Construction Industries. Client focussed and an excellent communicator with multi-lingual skills who relates and connects positively with people with diverse backgrounds and cultures. Alan has a great understanding of the Brisbane inner city and CBD areas, having worked and lived in the area for more than 7 years. Alan possesses a strong work ethic and prides himself highly in consistently delivering great customer experience and achieving positive results for his clients. An engineer by training, he is innovative and a great problem solver who strives to ensure all clients will get the best outcome for all their property requirements within the residential, commercial and industrial sectors. Ben Anderssen has been involved in the Queensland property industry for over 25 years. He is a certified practicing valuer and holds post-graduate qualifications in project management majoring in property development. Ben’s experience encompasses being principle of a buyer’s agency, property valuation, sales and property development (including residential, industrial, commercial and retail projects). This wide-ranging experience in property adds an extra depth in Ben’s ability to advise his clients on all facets of residential property. 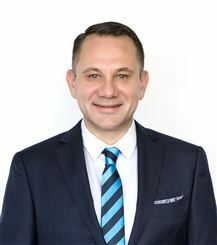 His extensive experience in the Buyer’s agency has meant that he has successfully negotiated millions of dollars worth of residential property against some of the best agents in Brisbane over an 8 year period. This coupled with being a certified practicing valuer translates to extra piece of mind for his clients during the whole sales process. During is period as a buyers agent Ben realized there was a space in the market for a sales professional who really does do the right thing by his clients. Ben prides himself on his high ethical and moral standards. Ben has a large number of contacts in the property industry which are used in getting specialised advice where required. The Australian Property Investment magazine often asks Ben for comment on different issues within the property industry. Ben is married with two young boys. Gabrielle is a fully licensed real estate agent and has been in the property industry since 2002. She joined Harcourts in 2014 and has enjoyed the opportunity to explore new horizons with a global brand and a supportive specialist team. Delivering a world class real estate experience is the commitment from Harcourts Solutions Inner City and this dovetails perfectly with Gabrielle’s philosophy. If you are in the service industry – for goodness sake – provide SERVICE! She is passionate about delivering exceptional consumer experiences in residential sales and marketing. Her single minded focus is to offer exemplary service and comprehensive real estate solutions for all her clients - sellers, buyers, investors and developers. Gabrielle is an Art Deco and Modernism enthusiast and has been a member of the Art Deco and Modernism Society of Australia for over 10 years. The ADMSA have recently established a chapter in Brisbane much to the delight of local enthusiasts. She is also actively involved in her local Neighbourhood Watch group and their associated book club. Her previous experience in Project Marketing specialising in medium density and small-lot housing, plus general brokerage capability and passion for early and mid-20th century modernist architecture, separates her from many realtors. The multi-faceted skills set she has obtained working in the property industry for fifteen years, together with her Business Management tertiary qualifications, makes her a well-rounded real estate professional. ‘The Service You Deserve’, motto utilised by Gabrielle, demonstrates her purpose and commitment to this end. Gabrielle’s personable approach coupled with her multi-faceted skills set, long term property experience, professionalism and high work ethic is a winning formula that has earnt her a stellar reputation. A genuine, down-to-earth real estate professional with meticulous attention to detail, specialising in the ever popular suburbs across the inner north of Brisbane. Living and working in this area, he’s attracted to the relaxed, convenient lifestyle and the diversity of property. With over twelve years of real estate experience, he was acknowledged as an elite performer in previous firms. His finely tuned people skills are an asset to both buyers and sellers, guiding clients through every step of the transaction process. A highly skilled negotiator and strategic marketer who understands the importance of identifying a target audience for each property. Garry is committed to six star service and thoroughly enjoys building long term business relationships. Jamila lives and works locally in the Northern suburbs of Brisbane. She is a strategist, a caretaker and a project manager. Co-ordinating all facets of your sale with honesty, integrity, and empathy sets Jamila apart from other agents. Her fresh and honest approach to real estate allows her to think outside the square, and adapt to your individual circumstances. The extra mile is an expectation in Jamila's job description. As a passionate, devoted and professional business owner of over 25 years, Jamila understands what it takes to be an outstanding real estate agent. She prides herself on her energetic and likeable persona; an approach that has had proven appeal to clients of all ages and walks of life. Her enthusiasm, care and respect has resulted in many clients becoming lifelong connections. Jamila maintains a healthy, work/life balance which sees her achieve optimum results for her clients, every time. The importance of family and the family home underpins Jamila's purpose; to help families achieve their dream of finding their perfect home. Her long time love of yoga, meditation and dance provide a supportive social connection to her passion for real estate and provides a healthy work-life balance. Jamila is backed by the successful, professional and dependable Harcourts Solutions team. If you are in the market for an agent with local knowledge, enthusiasm, and a results-driven attitude without the ego, Jamila is your ideal agent. J“No sale is ever the same. Great agents recognise this and tailor their services to what is most important to you that truly makes a difference in achieving great results”. A quote used as a foundation to Jed’s success complements his professional style and trademark attitude. With extensive experience in the service industry, Jed places his client’s needs at the forefront of his decision making, providing a unique and tailored experience for both buyers and sellers throughout their property journey. Going the extra mile to provide a service unlike any other, Jed’s attention to detail and professional approach are just a few of the attributes that allow him to stand out from the crowd. 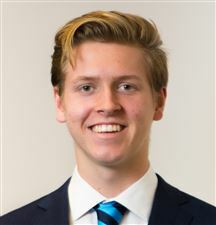 Through using a range of highly effective marketing techniques combined with a focus and commitment to creating a high demand for a client’s property, Jed is able achieve exceptional prices. Making a decision about one of your most valuable assets can be an overwhelming process and an agent that provides an immaculate service with your best interests at heart should be your first choice. 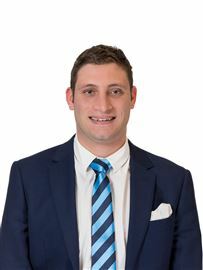 Jed is a true representation of the Harcourts Solutions team, the Number 1 Office in Brisbane for 2011, 2012, 2013, 2014, 2015 and 2016. 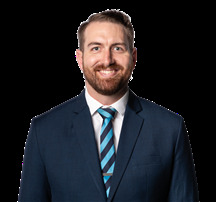 Jesse James: Creating Clients for Life The core considerations when selecting the correct agent to sell your home, are being able to trust and rely on your agent to respect, understand and protect your vulnerability during the sales process. Jesse James and his team base their service upon having the utmost compassion for the cacophony of emotions their clients live through when preparing for a sale. These often involve feeling cautious, confused, excited and even overwhelmed when making important decisions that may influence the sale. Jesse’s aim is to create clients for life by guiding his clients through this stressful time with professionalism and ease. “I believe in making my clients feel comfortable and confident about their selling decisions and my goal is to empower them with honest, great service and constant communication all the way.” Your agent also must possess the talent, experience and commitment to reach the best possible result involving what is possibly your largest financial asset. “Growing up in a property investment orientated family, I have always been exposed to and intrigued by the real estate industry. It has given me the ability to read between the lines to see the greatest value in my client’s property and project that to the buyer”. Jesse’s team has the expertise to consider all the variables from both sides of a sales transaction. They take careful consideration in alleviating any points of resistance by guiding the parties involved to reach the same positive conclusion in the shortest amount of time. Backed by an alliance of property experts and the success of the Harcourts Solutions group, Jesse will be your agent that gets you the results while safe-guarding your peace of mind every step of the way. Jesse James, Creating Clients for Life through integrity, expertise and exceptional service. Marisa has had an interest in property for over 15 years. Previously living in Central Queensland and the remote Northern Territory, she has bought and sold, renovated and built a number of properties prior to entering the Real Estate Industry in 2015. Also a wife and proud mother of 3 teenagers, Marisa considers family time, keeping fit and giving back to the community as priorities outside of her business. Through her many travel experiences and living in a number of communities, Marisa has the ability to relate to people from all walks of life. Her outgoing personality allows her to build relationships easily and with her industry experience and local market knowledge she is able to advise her clients with confidence. “What excites me about my position is that I am constantly meeting people, building relationships and helping others, which is where the real satisfaction lies. I value open and honest communication, trust and respect and from past experience, when these things are present not only are great results achieved, but the whole process is more enjoyable and less stressful for my clients. I am committed to keeping clients informed every step of the way, honest appraisals and feedback and going above and beyond to achieve the best possible result for your property”. A dedicated professional with the successful Harcourts Solutions group, Marisa holds a Business Marketing degree and is constantly receiving industry education in order to best service her present and future clients. Whether you are buying or selling, Marisa is looking forward to helping you achieve your property goals. 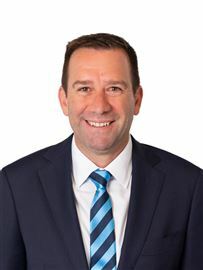 Patrick joined the real estate industry in 2015 as a highly valued member of the Harcourts Solutions property management team and joined Garry’s team in 2018. After working with other experienced agents, he brings an acute awareness and commitment to high level service to all clients that we meet and represent. Previously excelling in fast pace environments within hospitality roles, he is well suited to the dynamic environment of property, bringing high levels of energy and a welcoming disposition. What sets Patrick apart is his well-tuned communication skills and a highly organised approach to the team. The Real Estate industry isn’t just about property – it’s about people, and to be a great real estate agent you need to genuinely put people first with a great work ethic, true honesty and above all else integrity.” Sameer is an enthusiastic and high-energy Real Estate specialist who has worked in the industry for over 7 years. He is determined to achieve the best results for his clients and he does this by making sure he has superior market knowledge, using the best possible advertising techniques and through exceptional communication. Having graduated with a Bachelor Degree in Business Administration, Sameer thrived as an Account Manager for top international advertising agencies in the Middle East / Dubai for over six years. Upon moving to Australia, Sameer quickly adapted his “Mad Men” marketing skills creating a niche in Brisbane’s real estate market over the past 7 years. High-level interpersonal skills and a driving ambition have allowed Sameer to build fantastic client rapport with exceptional commitment to ensure no stone is left unturned in residential property sales. Sameer gets the most satisfaction out of helping others achieve their goals. Outside of real estate Sameer is an outdoor person, loves the beach, sun, music, dance and food. He enjoys spending time with family and friends. A little-known fact about Sameer is his passion for multi-cultural dancing including salsa and dabke (a middle eastern style), he trains regularly and can often be found at community dance events in his spare time. Dawn joined the Harcourts Solutions team in 2014 having moved from New Zealand. With her own strong record in real estate administration both in the Auckland and Sydney markets working for top performing agents she prides herself on strong communication, attention to detail and her interpersonal skills. With an extensive background in customer service her sincere and friendly approach help provide a winning formula for the Solutions team. Dawn’s passion and ability to problem solve are what drew her to the real estate industry. Dawn has a humble and diligent approach to the wide variety of support tasks required to achieve the outstanding results the Solutions team are so well regarded for. Under Contract - Welcome Home!